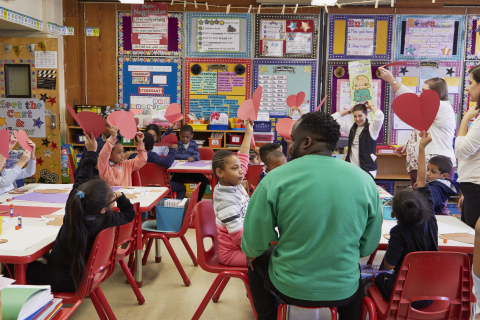 NEW YORK--(BUSINESS WIRE)--FreshDirect was joined by Chobani at The School of Science and Applied Learning Community School 300 in the Bronx yesterday to celebrate Valentine's Day with a free yogurt giveaway and a special heart health-themed program for students grades 1–3. 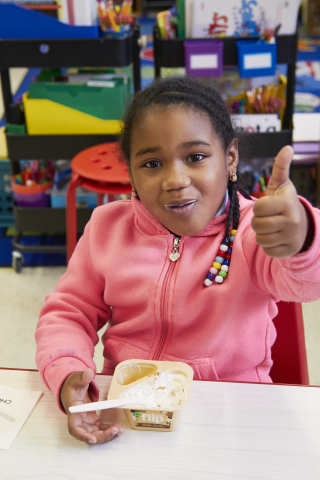 The companies joined forces to donate more than 600 yogurt cups to the students, along with heart-healthy recipes and arts & crafts supplies for an interactive Valentine’s Day-themed project, led by school representatives and FreshDirect and Chobani employees. 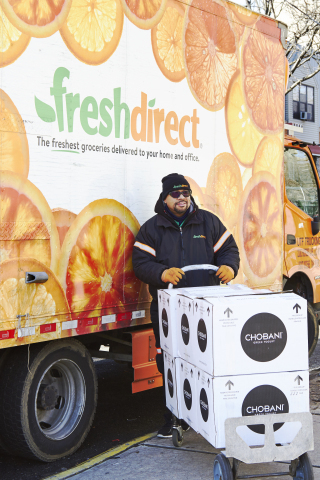 FreshDirect is committed to the communities it serves and in 2017 donated more than 2 million pounds of food to people in need through its partnerships with City Harvest and local food programs across the Northeast. FreshDirect is a food tech company and the Northeast's leading online fresh food grocer, delivering directly to customers throughout seven states, including the New York City and Philadelphia metropolitan areas, and the District of Columbia. FreshDirect is committed to sourcing the freshest and best-tasting meat, fish, produce, and specialty items through direct relationships with suppliers, growers, and farmers. In 2016, FreshDirect expanded its portfolio with the launch of FoodKick, an on-demand business that caters to the needs of urban dwellers with a curated selection of food, alcohol, and essentials—all delivered in as little as an hour. Launched in 2002, FreshDirect is a privately held company headquartered in Long Island City, NY. For more information, visit www.freshdirect.com or www.foodkick.com. FreshDirect and Chobani donated hundreds of yogurt cups, arts & craft supplies, and heart-healthy recipes to CS 300 Students on Valentine's Day.